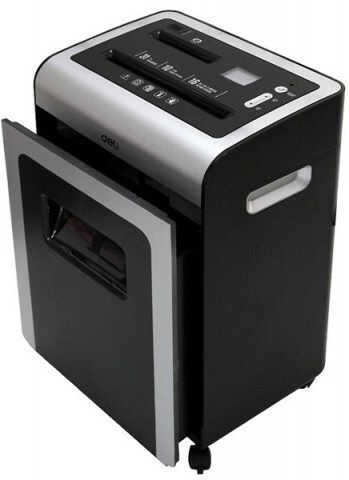 Deli 9917 office paper shredder machine has 16 sheets shredding capacity, 10 minutes continuous working time, 4 x 40 mm shredding size, wastebasket capacity 31L, specification 390 x 270 x 615 mm, measure 48.5 x 34.5 x 74cm, packing qty. 1/1. Visit showroom or call to buy the paper shredder from Dhaka, Bangladesh.